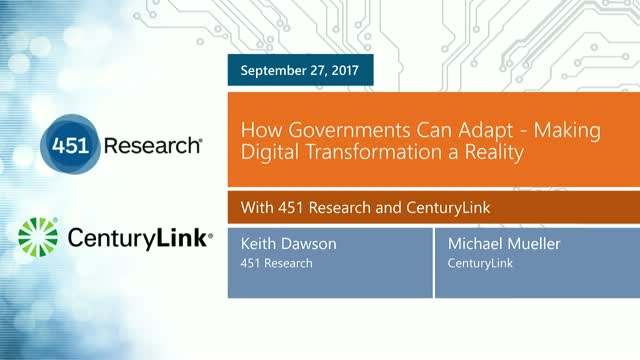 Can government institutions use modern tools and technologies to become more flexible and responsive to their constituents? What should they be looking at, and how should they adapt to the challenges of data security, privacy, and reliance on legacy systems? Digital transformation is an ambitious project for any organization; government decision-makers are hoping it will provide a path to broader citizen engagement, empowered employees, and new digital infrastructures that will provide better access to data and services. In this webinar we will discuss the results of a survey on the challenges and imperatives of digital transformation, including the perspectives of government managers on their technology and operational challenges and expectations.